Sandeep Singh working his 70-acre farm in Tracy, California. "While the nut is on the tree it's called a shell," he says. "We can hardly make enough money to survive by farming." "It used to pay for itself in two years," he says. "It was serious money." "I’m looking to buy all the tools for harvesting, because it costs a lot," he says. 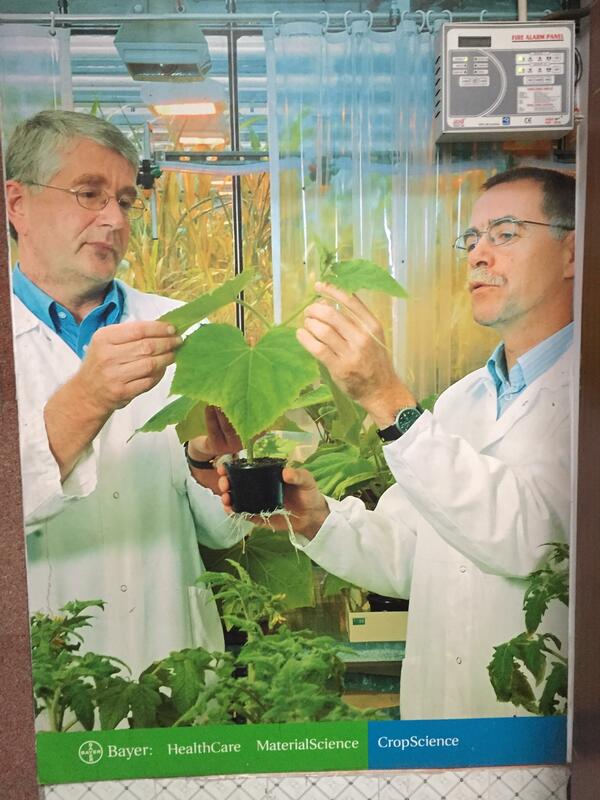 "Before the harvesting you do three or four weed sprays on the ground and four or five sprays on the trees." 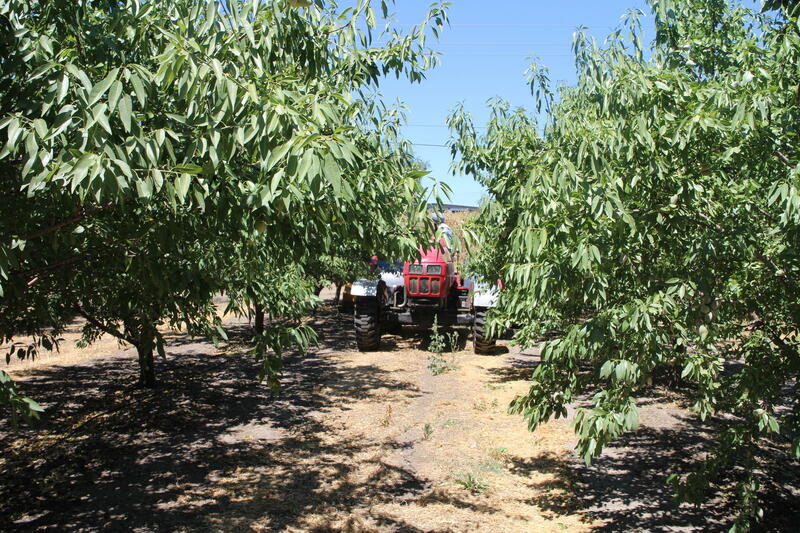 Sandeep Singh's almond trees in Tracy, California. "I really wanted to help out my family back in Punjab" he says. "My dad, my grandparents, my brother, my sister." 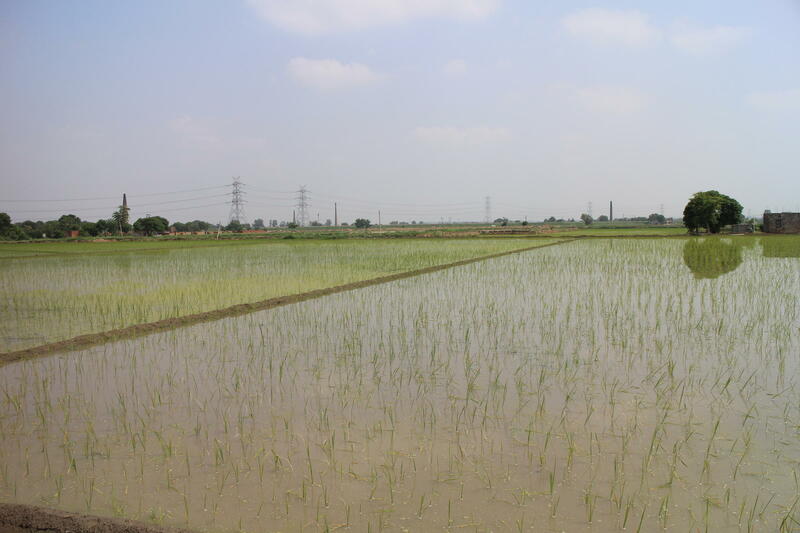 I’m standing in the village of Bhairomuna, near the city of Ludhiana, in Punjab, India. Singh's ancestors came and settled in this village about 300 years ago. They’ve been farming ever since. "In the next 20 years, we may not any have any water left." "We can hardly make enough money to survive by farming," he says. "After the harvest is over, when we’re balancing our accounts, we find that we barely have enough left to eat. We aren’t able to save money for anything else." "Back when we had a well on our farm,” he says, "I used to operate it myself. It didn’t cost much. We had two oxen that pulled water from the well. We would feed them grain, lentils, chickpeas, sugar. Whatever we had at home, we never had to buy anything for them." Balvir Singh says, "In the next 20 years, we may not any have any water left." He says, "We used to grow cotton, corn, wheat and sugarcane. There was no rice back then." "A helpful way to think of the Green Revolution," says Eric Holt Gimenez, the executive director of Food First, a nonprofit advocacy agency in Oakland, "is as a capitalist marketing campaign that sort of got out of hand." "The cost of production has increased so much but the price of our crops hasn’t." "That was very important," says Gimenez, "because that extra food production not only fed the United States, it fed Europe." In 1944, the Rockefeller foundation funded the scientist Norman Borlaug to go to Mexico, where he developed high-yielding varieties of wheat, called "miracle wheat." Around the same time, the corporations that produced agricultural equipment were trying to expand. "The Green Revolution was a campaign to export not just the products but the form of agricultural production to the Third World," he says. During his acceptance speech, he said, "The Green Revolution has not yet been won. It is true that the tide of the battle against hunger has changed for the better during the past three years. But tides have a way of flowing and then ebbing again." "The first seed we ever got from a foreign country came from Mexico," he says. "It was for wheat." "We have to spend so much money," he says. "We get more wheat, but it costs so much to grow. So, even if there’s more wheat, what’s the point?" "The cost of production has increased so much but the price of our crops hasn’t," he says. "The first pesticides stopped working after a while, then we had to buy more expensive ones," he says. "Then those stopped working. Every five or six years, we have to buy new ones." A sign advertises agricultural technologies in India. Eric Holt Gimenez calls this the pesticide treadmill. It’s when farmers are, "taking out credit in order to buy more and more pesticides more and more fertilizer and getting diminishing returns. So there's a cost price squeeze between higher and higher costs for the factors of production and then lower and lower prices for the goods that the farmers sell. That's a characteristic of people who are who are swept up in the Green Revolution in the capitalist food system." "On average, each farmer in my village is about 2 million rupees in debt," he says. "For some it may be 5 million, for some 1.5 million. But 2 million is about the average." "When we grew potatoes, it cost us 180 rupees per bag,” he says. "But they were selling at 150." "The first pesticides stopped working after a while, then we had to buy more expensive ones. Then those stopped working." "Everyone would leave if they could"
"Out of the 50 farming families in this village, 15 have left for other countries," he says. His son Virinder adds, "And everyone would leave if they could." "I would want us to," he says. "But who would stay and take care of our ancestral land?" "If you go down south to Fresno or Bakersfield, you see every other farm is owned by Punjabis," he says. This article was made possible in part by the Bringing Home the World International Reporting Fellowship Program for Minority Journalists offered by the International Center for Journalists (ICFJ), with support from the Ford Foundation, the Scripps Howard Foundation, and the Brooks and Joan Fortune Family Foundation.